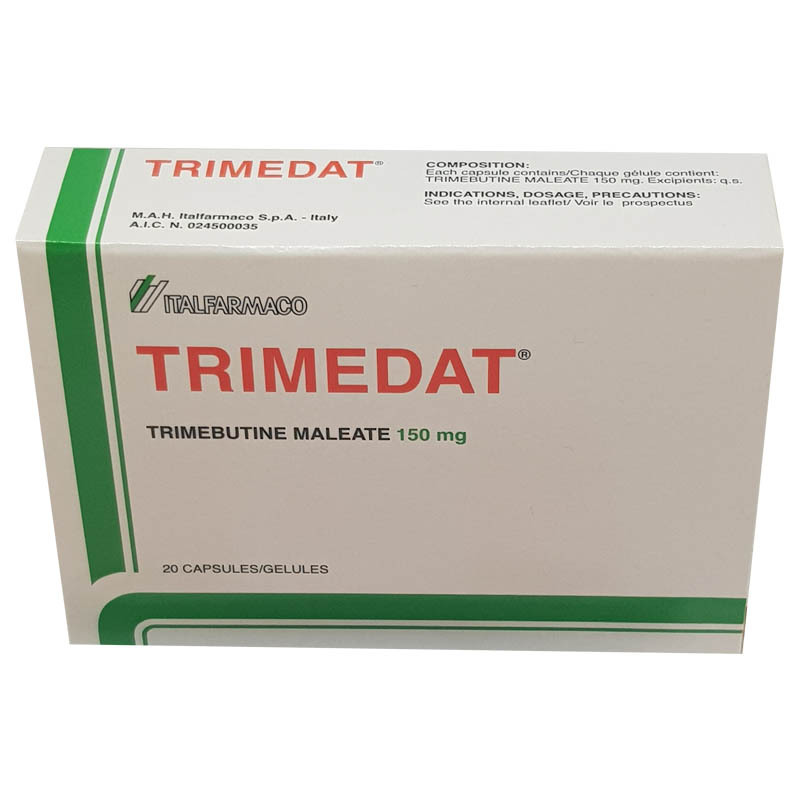 Each capsule contains: Trimebutine maleate: 150 mg.
Irritable Bowel Syndrome, colon spasm and abdominal pains symptoms, disturbances of esophageal motility. Individual ascertained hypersensitivity to the product. No data available about interactions. Pregnancy: avoid during the first three months of pregnancy. 300-400 mg daily, on average. Posology may be increased on medical advice. There have been no reports of overdosage in man. In the event of overdosage a symptomatic treatment should be instituted. Store at temperature not exceeding 25° C.